Photos: Coastal rocks; Co. Cork, tree trunk; Co. Limerick, Ireland. 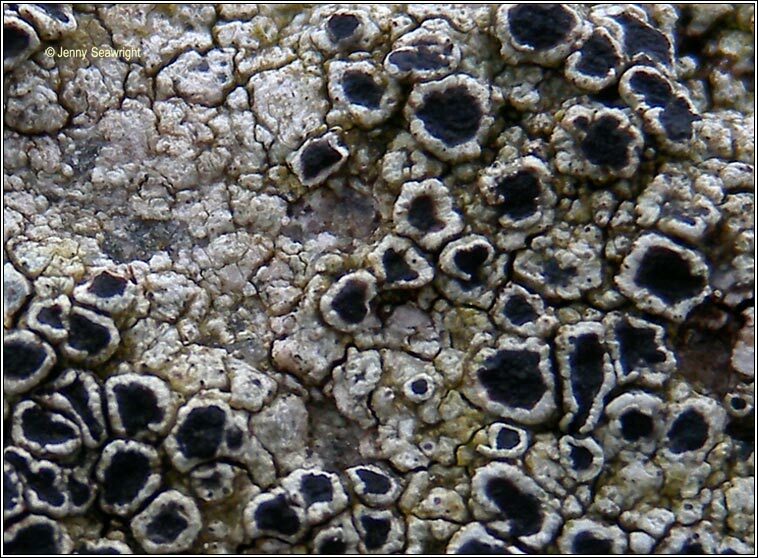 Thick, warted-areolate, whitish or pale grey thallus with blackish prothallus. 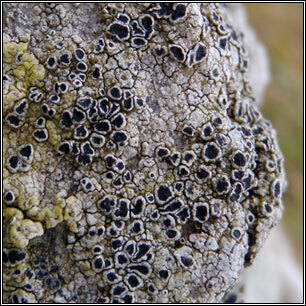 Black apothecia, round or irregular, sessile or immersed. Discs flat / concave, margins swollen, entire or flexose, 1-2.5mm diam. Hymenium dark purple-brown, upper parts pale purple-violet. 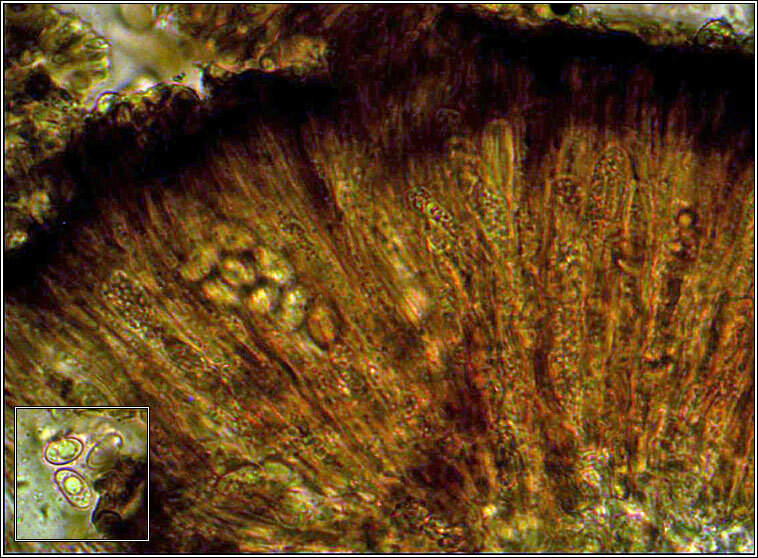 Asci 8-spored, spores simple, 10-15 x 5-8 µm. Micro photo below. Cortex K+ yellow, C-, KC+ yellow. Medulla UV+ ice-white. Apothecia purplish in section. 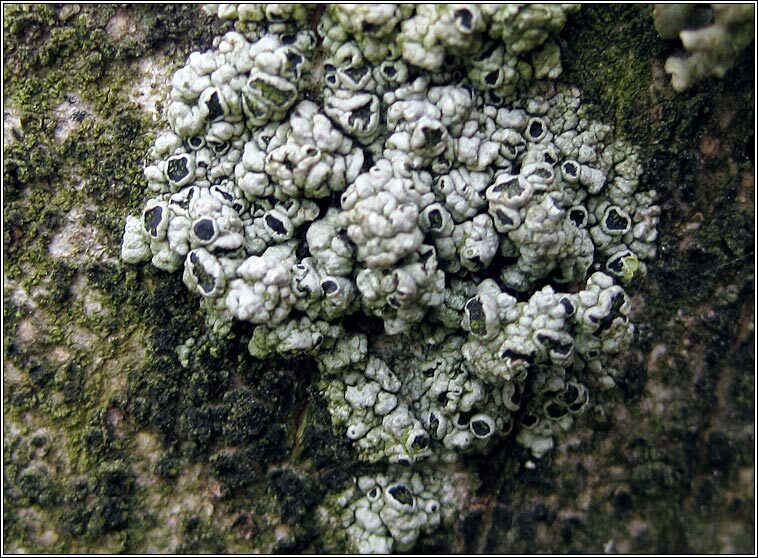 Common on coasts and inland on siliceous or slightly basic rocks and walls, occasional on trees.